2017 was a milestone year for AGL. We passed 100 members, continued to mature the UCB platform with two new releases, and made our vehicle debut in the 2018 Toyota Camry. This momentum has already continued into 2018, as the year started off with AGL’s successful debut as a CES 2018 exhibitor. 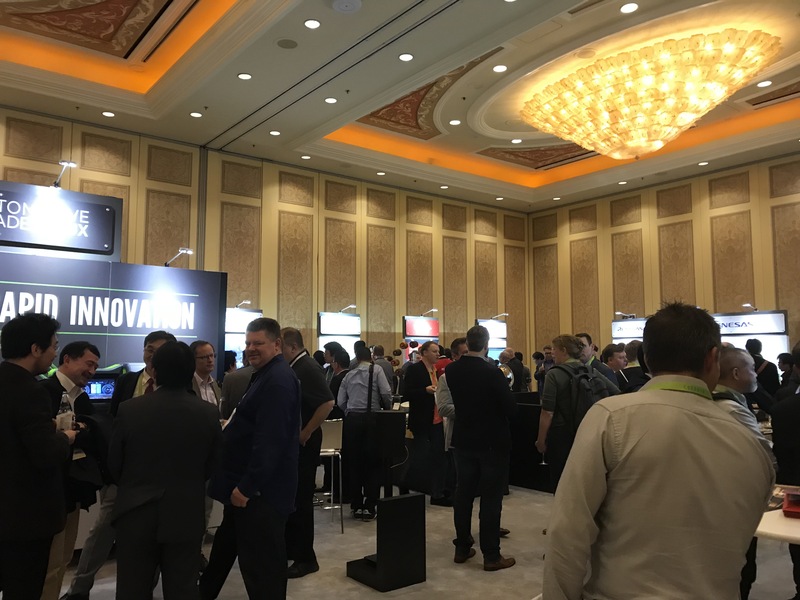 While AGL has had a presence in Las Vegas during CES for the past several years, this was the first year that we were officially part of the show, taking over three ballrooms at The Venetian. 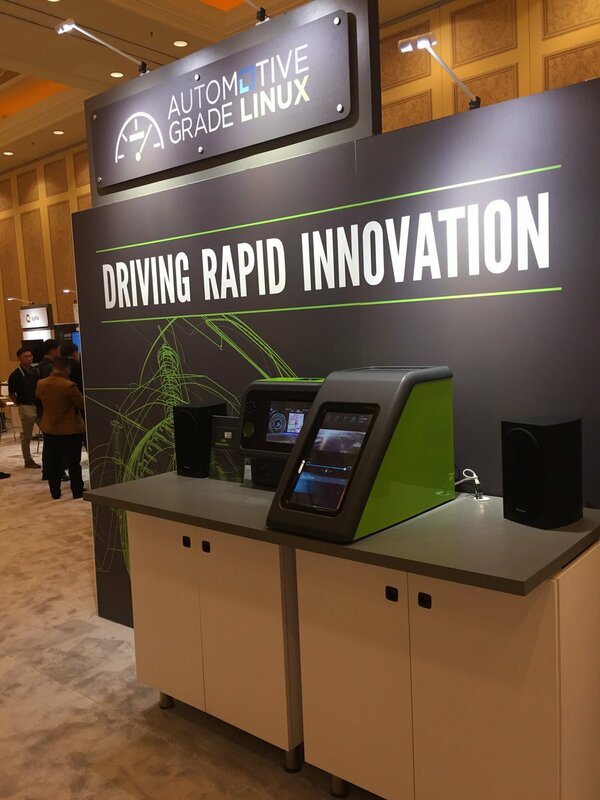 The AGL ballroom featured demonstrations of the latest UCB 5.0 infotainment platform, as well as more than 15 AGL members demonstrating their technology and proof of concepts (PoCs) running on Automotive Grade Linux. Our members showcased a variety of use cases for AGL including virtualization and multi-display HMI, vehicle-to-cloud services, cyber security, navigation, audio management, data storage and architecture, and connecting smart devices to in-vehicle infotainment systems via SmartDeviceLink, Apple CarPlay and Android Auto. The AGL Evening Reception & Demo Showcase at CES was a huge success. The invite-only event in the AGL ballroom brought together more than 200 executives and engineers from the top automakers, Tier 1 suppliers, semiconductor companies and tech companies for an evening of networking and demonstrations. 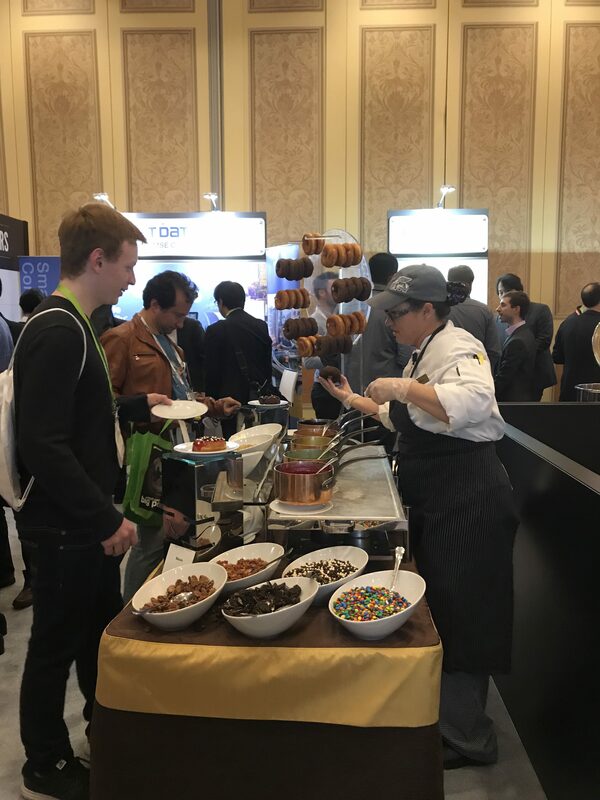 Guests enjoyed a variety of food stations including a make-your-own donut bar for dessert! During CES, we announced that Amazon Alexa has joined AGL as a Silver member. Speech recognition providers are increasingly joining AGL, including Nuance and VoiceBox Technologies, so we will be launching a new Voice Recognition Expert Group (EG) in the near future. Make sure to join our mailing list if you might be interested in joining. 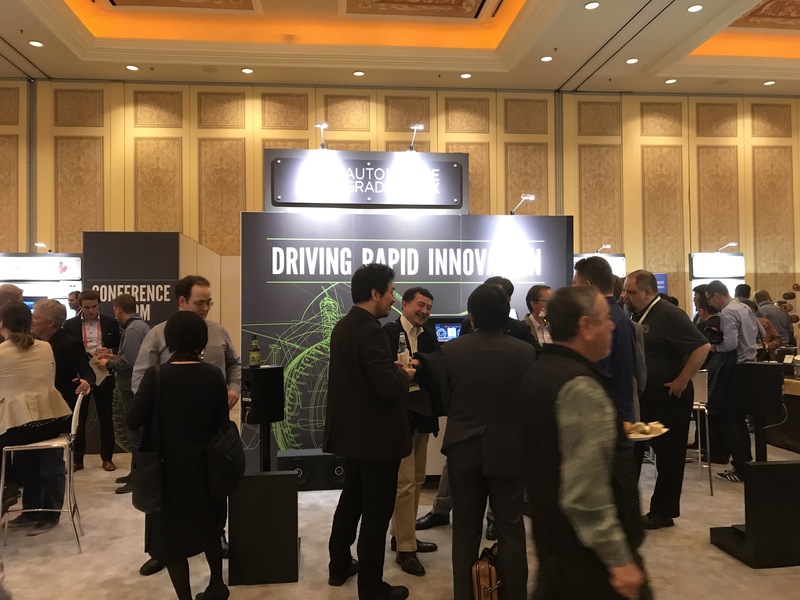 Thank you to our CES member sponsors for your support: Aisin AW, Audiokinetic, DENSO, DENSO TEN, Elektrobit, ForgeRock, Igalia, Intel, LG Silicon Valley Lab, Microchip, NTT DATA MSE, Panasonic, RealVNC, Renesas, SafeRide Technologies and Tuxera. We look forward to seeing you at the AGL All Member Meeting next month in Tokyo or at Embedded World in Nuremberg!